In March 2017, YUA conducted a feasibility study in Ramallah (Palestine) to explore the possibilities of setting up a Kriterion project there. Like Amsterdam, Sarajevo and Monrovia, Ramallah is a young and vital city, full of creative and entrepreneurial young people. YUA sees a great potential for a Kriterion project in Ramallah, that could function as a cultural hub in contemporary Palestinian life. As the feasibility study proved, the city offers a lively nightlife and a population that is eager to welcome new initiatives. The student life in Ramallah is an active one, with about 7.000 students attending the Birzeit University, nearby Ramallah. The cultural scene is very much alive, but spaces for youth to gather and to develop their own cultural program are lacking. Local youngsters have expressed the need for an independent space, where they can voice their own ideas and opinions through a variety of media and programming. The concept of Kriterion was received with great enthusiasm. The students’ urge to create such a place is a great opportunity which Kriterion could facilitate. 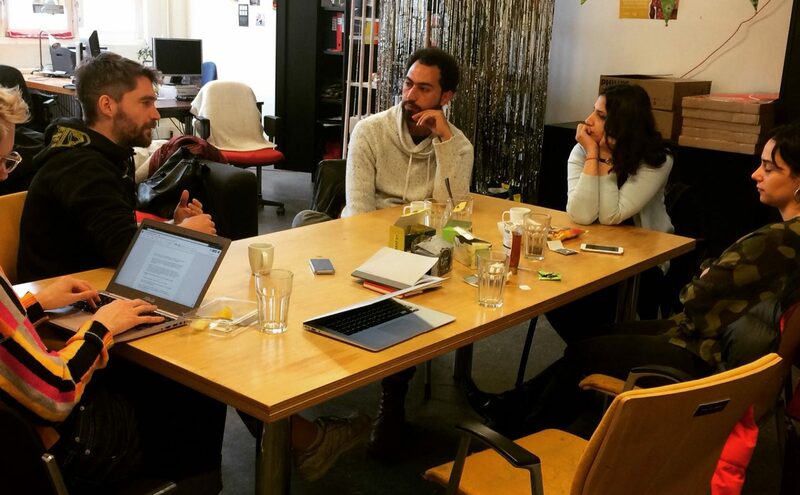 YUA wants to support the youth of Ramallah to create their own cultural space, where they can develop an independent cultural program. Just like in Sarajevo and Monrovia, the concept of Kriterion has the potential to offer them an environment in which they can develop professional and personal skills by running a cultural enterprise by themselves. The actual business model of Kriterion Ramallah is still open for discussion and up to the local youth to decide. It could be a space for cinema, art, music, social gatherings, debate, or all of the above. YUA visited Ramallah again in December 2017. The main goal was to select a group of young, energetic and motivated Palestinians. 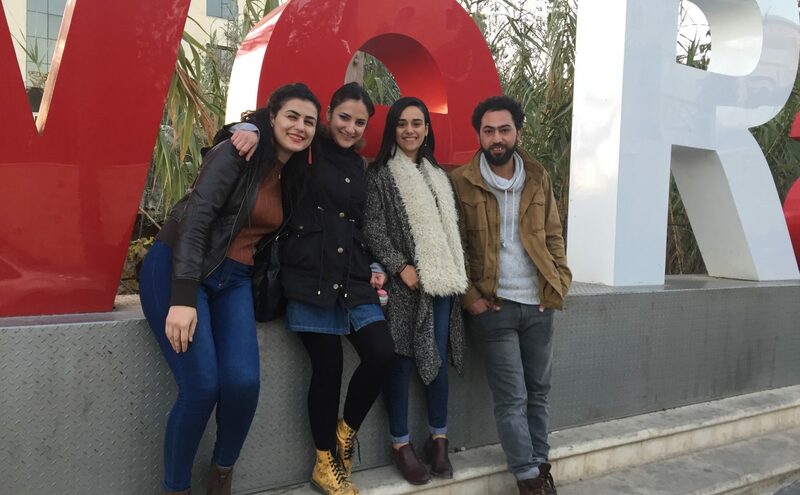 Four youngsters – Hadeel, Zeina, Amal en Rabee – now form the heart in the establishment of Kriterion Ramallah. Together, they’ll do a market research, write a business plan and work on establishing Kriterion Ramallah. YUA continues to work with them intensively and guide them throughout this process. 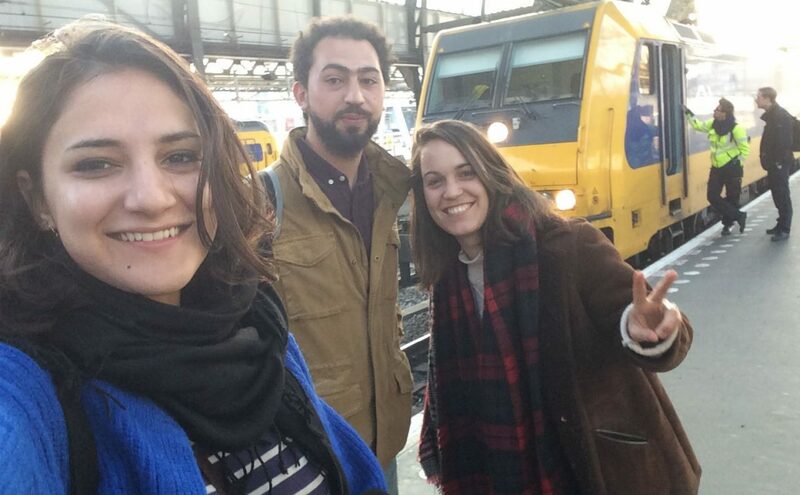 The Palestinian youngsters have visited Amsterdam and the Kriterion projects in March 2018 and received a training in which they gained the knowledge and skills to further develop the project in Ramallah.